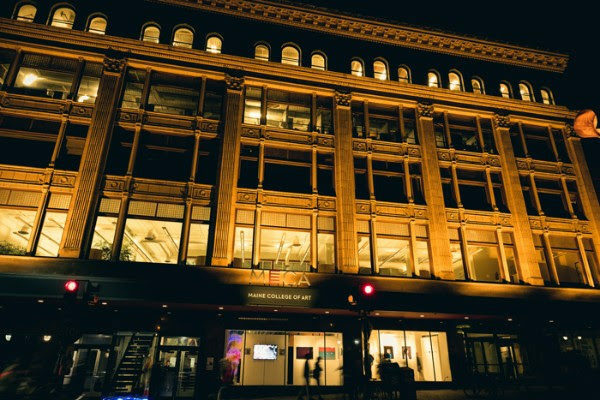 PORTLAND — The Maine College of Art will showcase the 2019 Maine Region Scholastics Exhibition 9 a.m. to 5 p.m. Monday-Friday, Jan. 25- Feb. 8 at the Porteous Building, First Floor, 522 Congress Street. The Maine Region Scholastic Art Award Exhibition exhibits juried work submitted by 7th to 12th graders who are residents of, or attending schools in the state of Maine. This exhibit features the work that has received the highest recognition; Silver Key Awards and Gold Key Awards. This is an excellent opportunity to see the quality and breadth of work created by middle and high school students under the guidance of Maine’s art educators. Students who earn recognition at the Gold Key Award regional level compete nationally and have a chance to earn national recognition.